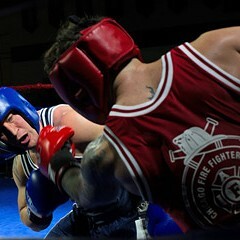 Photographer Marc Monaghan documents the 13th annual charity boxing match that pits the Chicago Police Department against the Chicago Fire Department. Gerald Scott referees the heavyweight bout between Chris Amatore (Fire Department) and David Koch (Police Department), the third fight of the evening. Inside the Parmer Activity Center of De La Salle Institute in Bronzeville on April 24, the low rumble of some 2,500 voices mixed with the frenetic howl of Guns N' Roses. 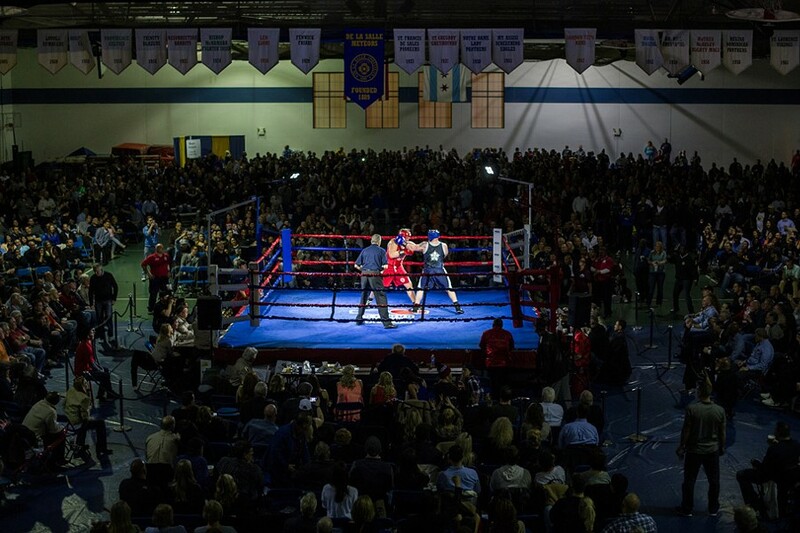 Then, out of the darkness, the noise of the crowd rose into a thunder as the two men in the center ring attacked. You could practically smell the testosterone in the murky mix of sweat and beer in the air. The spectators watched the men—one in red, one in blue—circle, parry, and strike. Along the dusky aisle between the ring and the gallery, politicians glad-handed, glanced over each other’s shoulders, and smiled for cameras. 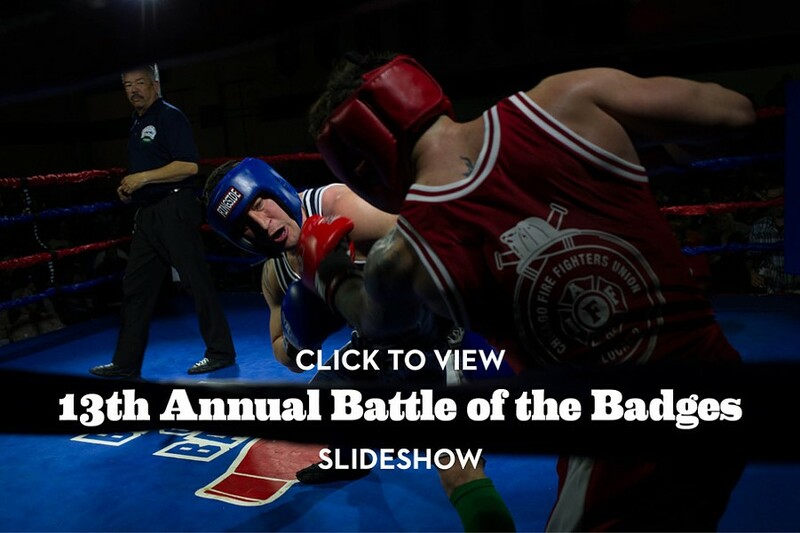 No ordinary boxing event, the Battle of the Badges was born out of the 9/11 sympathies of a group of Chicago Park District employees who wanted to do something for first responders and their families. The boxers come from the rank and file of the Chicago police and fire departments. Matched by gender, weight, and ability, they fought three rounds, one minute per round. Since 2002 more than half a million dollars has been raised for charities benefiting members of the departments and their families who are in need.